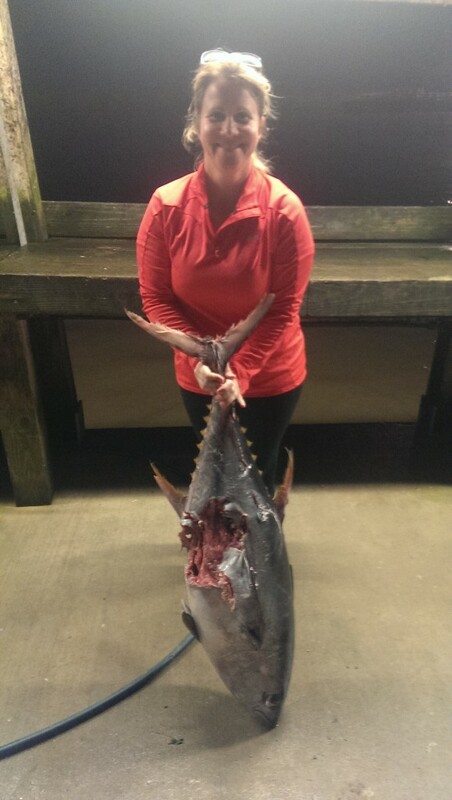 The winter season is here and we are targeting the big TUNA! Everyday is different here in the winter, which is why I am always so stoked to get out there and read what mother natures gives us. The past week has been rather consistent. A lot of sharks and kingfish around, making it a challenge to get our big tuna’s to the boat and also a lot of big jacks! 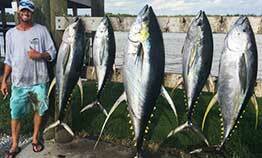 When we do get a Tuna to eat, they have been so fired up from the cold water temperatures. Absolutely peeling drag and making our anglers work. 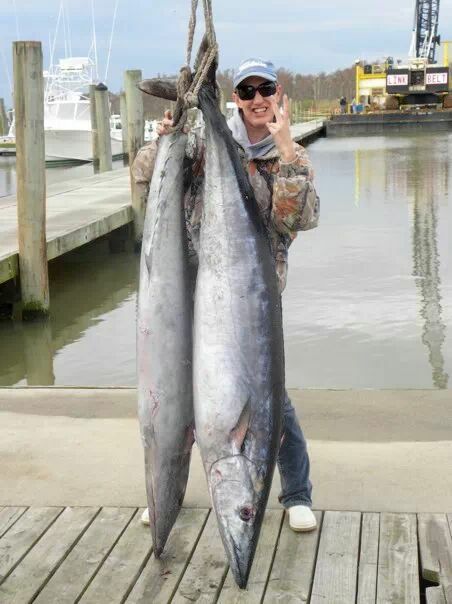 While our #1 target is Yellowfin Tuna, some of my customers have really enjoyed big kingfish smoking runs. The meat quality is good for the smoker and some clients have shared some interesting recipes with me that I will have to try as normally we throw most of the kings back. As we get to the end of this month we are booking out for our wahoo season coming up. If you have not fished the wahoo season with us, it is absolutely incredible. The size and quality of the wahoo caught are unreal and some of the best in the country. We are honored to be voted the top charter boat for 2015 again by ReelReports.com. We work hard to put our clients on the fish and there is a lot that goes on in the background to ensure all our charters get the best chance at a trophy fish. We are off tomorrow and will be doing the boat maintenance and re-lining our reels with fresh line. Give us a call to book your adventure.